Place of Birth: Downingtown, Pennsylvania, U.S. 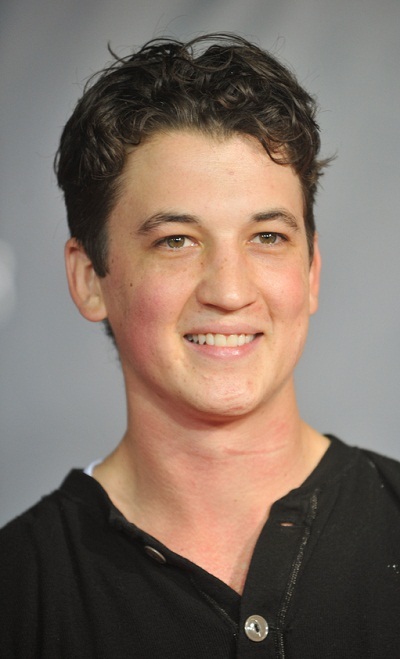 Miles Teller is an American actor and musician. Miles is the son of Merry and Michael Teller. Miles’s paternal grandfather was of Russian Jewish descent, while Miles’s paternal grandmother was of half Irish and half Polish (non-Jewish) ancestry. Miles’s mother has English, Irish, and possibly distant French, ancestry. It appears that Miles was raised Christian (he was part of a church group in high school). Miles’s paternal grandfather was Benjamin Teller (the son of Carl Teller and Jennie Celander/Celender). Benjamin was born in Pennsylvania. Carl was born in Pennsylvania, to Russian Jewish parents, Benjamin Teller and Esther Goldsmith. Jennie was also born in Pennsylvania, also to Russian Jewish parents, Bernard Celander/Celender and Martha/Mary Barioski. Miles’s paternal grandmother is Dorothy Jean Benson (the daughter of John Benson and Catherine Stancavage). Dorothy was born in Pennsylvania. John’s parents, John A. Benson and Phoebe Galvin, were both the children of immigrants, from either England or Ireland (depending on the census); it is likely that John and Phoebe were of Irish Catholic background. Catherine’s parents, Dominic/Dominick T. Stankiewicz/Stancavage and Josephine Zubritski/Zabriski/Zubrycki, were of Polish (Catholic) descent. Miles’s maternal grandfather is named Jesse G. Flowers. Miles’s maternal grandmother is Leona Gertrude (the daughter of James Dean and Eldora M. “Dora” LeCount). Eldora was the daughter of Thomas A. LaCount/LeCount and Mary Sagairs. Miles’s mother’s family has lived in the United States for many generations. Parts of his face look Ashkenazi, then Polish. He has a Slavic look about him.